Back with an all-new updated video on how to curl your hair with a flat iron! It’s been almost 3 years since I did my last tutorial on how I curl with a flat iron, so it’s about time we do a new one. Curling my hair with a straightener/flat iron may be the easiest and fastest way for me to curl my hair. Protect your hair from the heat with a shield spray! When your curling make sure move the straightener quickly as you glide it down your hair. If you keep it still for too long, you’ll get creases. Look for a flat iron with rounded edges, it’ll help to curl easier, and will help with preventing crease marks on your hair. Practice makes perfect. The more you practice, the more you will get the hang of it. 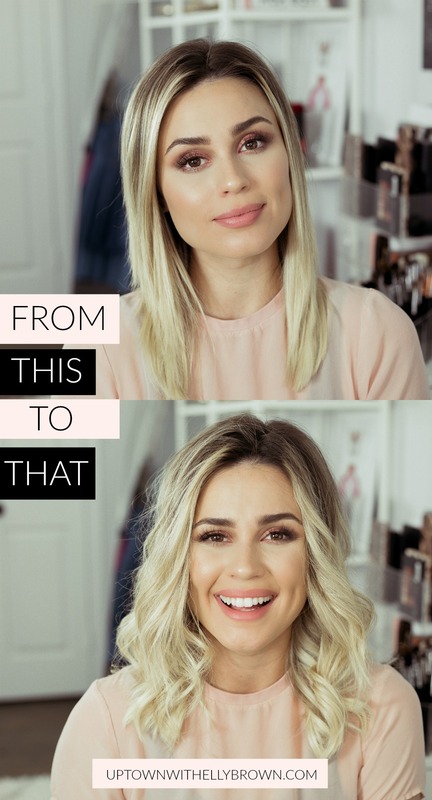 Comment below, do you normally curl with a flat iron, love it, hate?! Share your thoughts below!